Jive Video Pro is a video conferencing tool that allows you to meet face to face with colleagues or customers, quickly and easily, even if they are out-of-state. In-conference options include chat and content sharing, providing the capability for global collaboration WITHOUT the travel expenses! Connecting to your conference bridge or scheduling a meeting can be achieved with just a few clicks from your Personal Room. 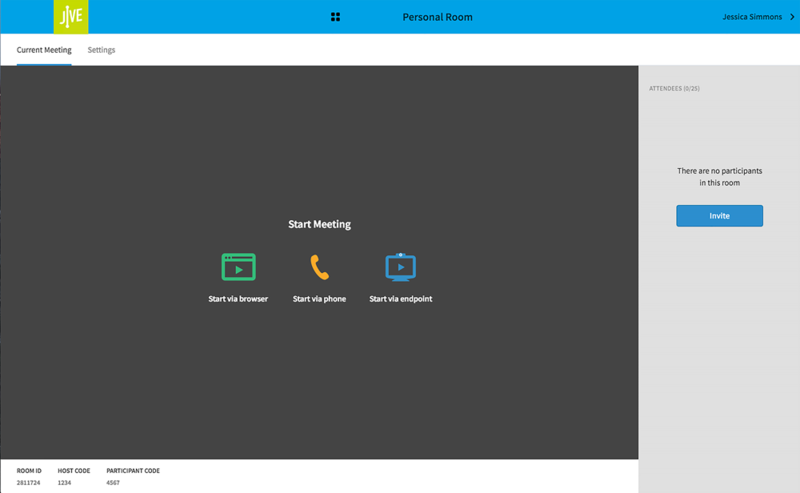 The platform offers easy to share Instructions for all outside parties connecting to your virtual conference room using a sip enabled video conferencing endpoint, web browser, mobile application, or audio-only direct dial access. Additionally, those given Admin access have the ability to setup, search, and manage users and personal rooms within the organization.